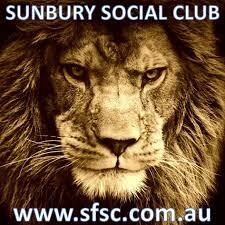 The annual Sunbury Cricket Club Best and Fairest Vote Count night was held last Saturday night at Sunbury Indoor Sports. This involved a breif recount of all matches of season 2013/14 followed by the 3, 2 and 1 votes adjudged by opposition captains and senoir SCC officials. It was an evening full of anticipation as all except the McIntyre grade went all the way down to the last round with three or more possible winners. Highlight of the night was young Dylan Douglas winning by a narrow margin from his father Dom to take out the 3rd XI Best and Fairest award. Congratulations to all winners and we look forward to SCC Presentation night to present the awards. Dress: Red carpet..tie and jacket. Dinner : 2 course meal. Special guest host, entertainment and cost TBC. Previous PostSenior Cricket Important dates – Season 2013/14 (V2)Next PostCheck out the upgraded SCC Website!